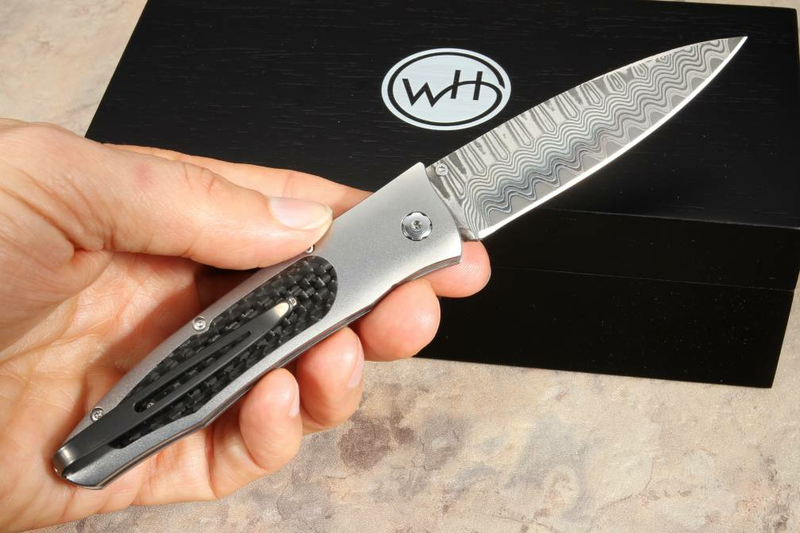 If you are in the market for a great, durable, folding knife that you can carry every day, the William Henry B30 Centrifuge is an excellent option. It is light enough to carry in your pants or jacket pocket comfortably. 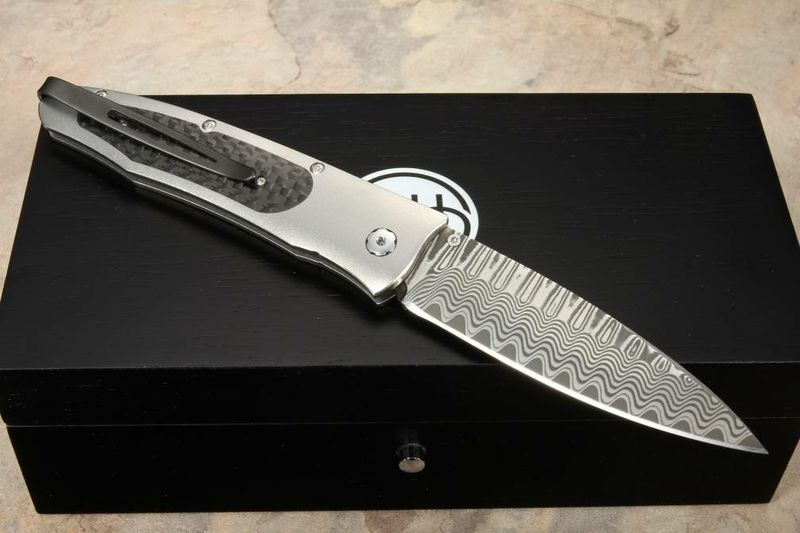 This knife is made in America and is both lightweight and incredibly strong. 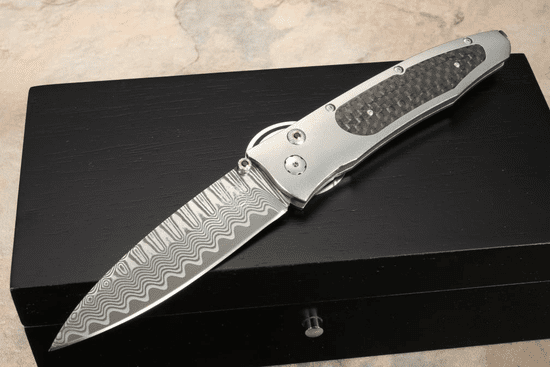 This modern folding knife will perform well in almost any application you can throw at it, and it is so well made and thoughtfully crafted that it is also a work of art unto itself. It weighs in at a mere 1.9 oz and is 7.00" (177.8mm) when open; the blade is 3.25" (82.5mm). 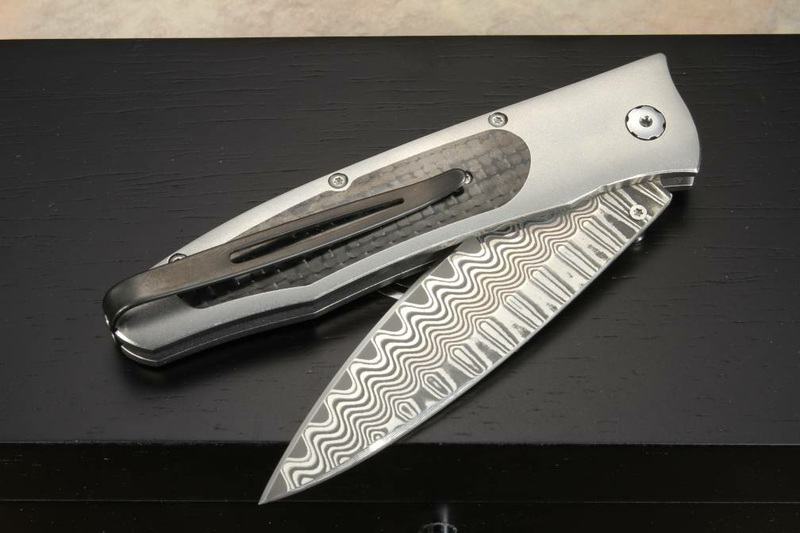 You immediately notice the wave pattern stainless damscus that performs as good as it looks thanks to the ZDP-189 steel cutting core. 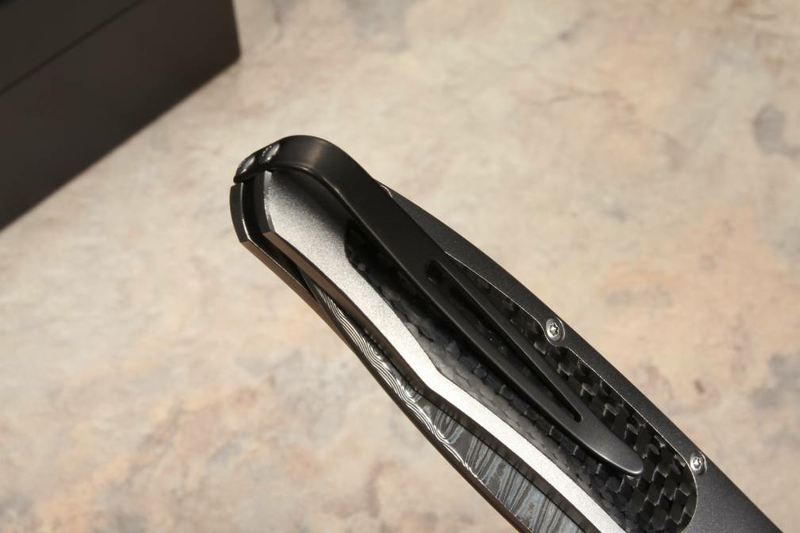 This folding knife comes with a button lock for security while cutting and easy closure when the job is complete. The thumb lug and the button lock is inlaid with spinel gemstones.